Wii: It's the only way we stand a chance at bowling 300. Come join the hip, hip crowd at Lotus Lounge (1420 K St. N.W.) for Kar"Wii"Okee Night -- and, yes, we should all be quite thankful it won't involve singing. 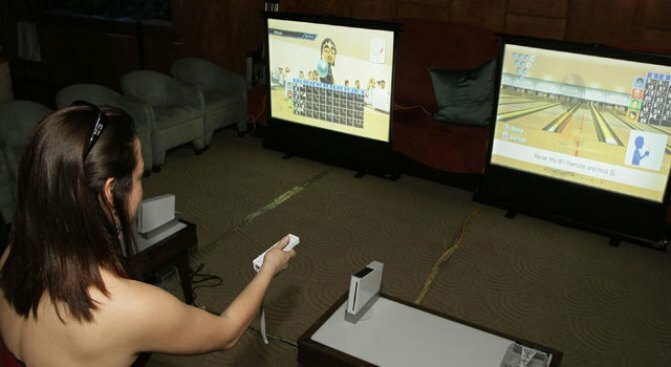 Every Wednesday night, the Lounge hosts a night of very grown-up and mature Nintendo Wii fun. But don't forgot you'll be at Lotus Lounge, home to sushi yummy enough even for people who generally think sushi is gross. Indulge in $5 food specials from Chef Will Fung, who was born and raised in Hong Kong yet has perfected Japanese cooking. Drink specials include $3 Sapporos and $5 Sake Bombs. Come with your game face on, because prizes will be awarded to the best Wii Bowling and Rock Band players. Starts 8 p.m., no cover.